Providing Suffolk with a professional mobile disco & DJ service for all occasions. 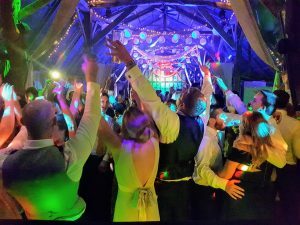 For more information about our mobile disco services in Suffolk or Essex…..
Professional mobile disco & wedding DJ hire for the Suffolk & Essex areas. Supreme Sounds Entertainment, Mobile Disco Ipswich Suffolk, are a professional mobile disco & DJ company. 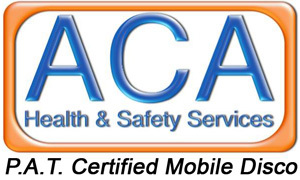 Based near Woodbridge we cover Ipswich, Suffolk & surrounding areas. Supreme Sounds provide a Hi-tech professional Mobile Disco, Video Screen Disco & Dj hire services. We offer a competitive price for any type of occasion or event such as weddings, birthdays, anniversaries and much more. The mobile disco & Dj industry has come a long way in recent years. 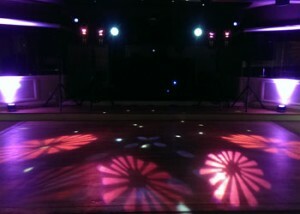 Here at Supreme Sounds, Mobile Disco Ipswich Suffolk, we keep up to date with the recent mobile disco & dj technology. This includes both sound and computer controlled mobile dj disco lighting. Using DJ products from Denon & Pioneer, along with our computer controlled intelligent mobile disco DJ lighting system, video projection unit and high quality mobile disco PA system, we can accommodate a variety of events and venues no matter how big or small within Suffolk & Essex. We have over 20 years’ worth of knowledge of the mobile disco industry & Dj hire sector in Ipswich, Suffolk. This means that we have plenty of experience to make sure your disco entertainment goes as planned. Ready for us to quote you disco happy? Light up your wedding venue or any other venue with our our high powered dj LED up-lighters. 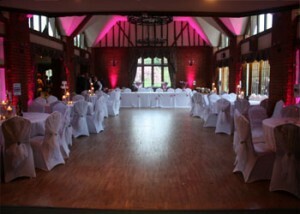 Our Uplighters are available for higher to make you venue stand out in what every colour you would like. – click here for more info. We are also able to offer other extras such as neon lighting and PA hire to really make your evening one to remember. Neon lighting – make your night glow with our all new UV cannons. PA Hire – Ideal for speeches and presentations, let your voice be heard. All occasions covered including wedding entertainment, birthdays, engagement parties, school proms, corporate events and much much more. Professional & friendly DJs willing to take YOUR requests. The latest professional DJ and disco equipment. Efficient and reliable mobile disco and Dj service. Wide range of music including over 3000 music videos. Competitive pricing structure catering for all budgets. UK-Disco member with full PLI & PAT Certificates. FREE no obligation quote - Click here for your quote. Fill in the details below and we get back to you ASAP. Copyright © 2019 Supreme Sounds Entertainment. All rights reserved.